BERLIN — In the heart of Berlin, where memories of the Gestapo and the Stasi remain and distrust of secret-service agencies still runs high, Germany has opened what is being called the world’s largest intelligence service headquarters. Chancellor Angela Merkel was on hand on Friday to inaugurate the massive, $ 1.23 billion complex, which stands on 26 hectares (about 64 acres), but in keeping with the secret mission of the place, dignitaries and members of the news media were not allowed deep into the building. 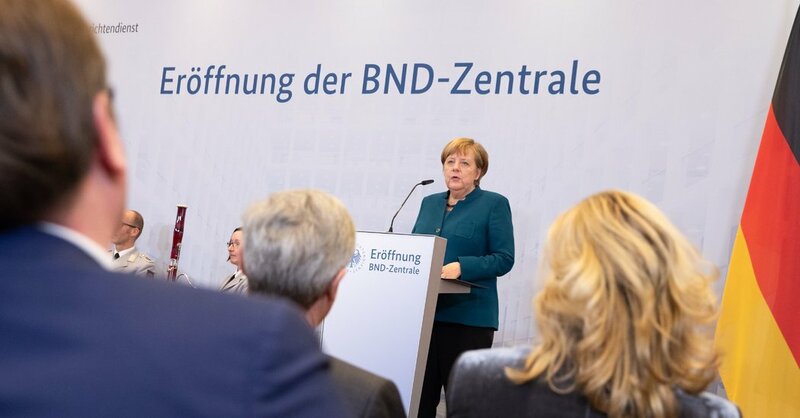 In extolling the building, whose interior is a state secret, Ms. Merkel was apparently hoping to seal the post-Cold War transition of Germany’s Federal Intelligence Service — or BND — and to cast it as a necessary defense in an increasingly complicated and dangerous world. For most of its six-decade history, the intelligence service was focused on Cold War enemies, especially the East German state. It handles intelligence beyond German borders and is one of two major nonmilitary intelligence services in Germany. Another agency is responsible for domestic intelligence and has recently been in the news for surveilling the Alternative for Germany, the right-wing anti-immigrant populist party. In 2013, revelations in the Edward Snowden case that the Federal Intelligence Service had worked closely with American intelligence operations caused a public uproar. More recent reports that the service had spied on European Union allies and foreign journalists have sullied its image. Last year, it saw off a lawsuit brought by a Berlin newspaper, with a panel of judges ruling that the service was not legally obliged to answer requests from journalists. Since its founding in 1956, the service had been based in Pullach, a suburb of Munich, where its predecessor was housed on part of a Nazi estate. Links to the Nazi regime were not confined to the physical space: The first president of the service was Reinhard Gehlen, who had been a Wehrmacht general responsible for military intelligence in the Third Reich. After the war, he helped American forces coordinate intelligence activities aimed at the Soviet Union. The new building does not appear to have brought an immediate increase in trust. In January, the Berlin Senate had to officially confirm that there were no listening devices hidden in a pair of decorative fake palm trees outside.